Is shea butter too heavy for your hair? It is for mine. My hair doesn't absorb this popular butter (or practically an butter for that matter) so it builds up and leaves my hair greasy, weighed down, and feeling ewww. I've always known that to get your twist outs, braid outs, or any other styles where you "set" your hair, to get the bomb hold and definition, you should use a butter or a gel with hold. My hair doesn't fare well with either of these products: gives my hair major build up. So I made and tried shealoe recently on dry, stretched hair for tiny twists. Well, the tiny twists were supposed to stay in for 2-3 weeks but I started missing my hair something terrible and 2 days after I had spent 2.5 hours doing them, I took the bad boys out. :p I'm whack, right? Lol. But ya girl has been having super hair days since taking the twists down. The hold, definition and softness is off the chizz-ain. I haven't been sleeping with my sleep cap on (naughty me but I've been sleeping with my hair sans sleep cap a lot lately. Another post on that.) and 3 days later (shown in pic above), my hair still has pretty good definition and I'm far from a delicate sleeper. Do any of you already use and luv shealoe? I'm curious to read your post on the sleep cap. I cannot for the love of my hair keep anything on my head overnight. To make this shealoe mix, is it best to use store bought Aloe gel as opposed to usung it straight from the leaf? I have never used shea + aloe, only used the two together, however, I am going to see what I can mix together! I'll let you know how it works out. I love shealoe, especially when my hair was at that length. My current batch is also made with Shea Butter from Peace, Love & Sunshine, but I mixed it with aloe vera juice. Also, you could try sleeping on a satin pillow. I find that the satin cap sometimes smooshes my hair too much when I'm wearing out styles, so I sleep with my hair out on a satin pillow instead. Heeeey Moni: I always luv your input :D Yeah, I'm so over the sleep cap; it def smooshes my out styles. I am cool enough to be sleeping on a satin pillow case at least. Haha. 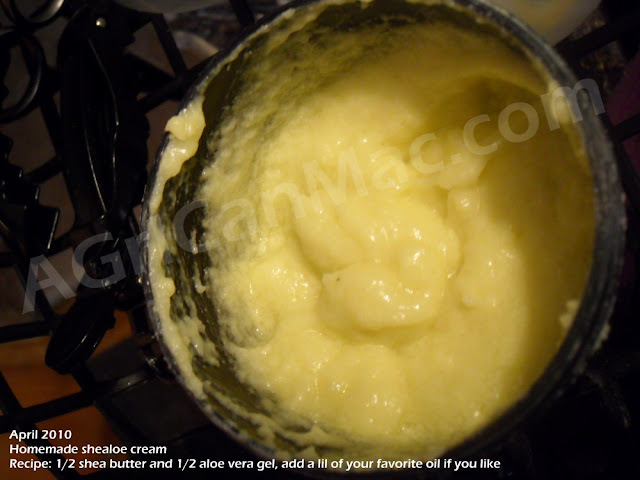 Zabouloum: Trying whipping the shea butter first (I don't melt mine)with a hand or standing mixer, then add the aloe vera gel in gradually and whip again till you get a creamy consistency. Hope this will work for you. Yes L. Michelle: I'm crazy. Lol. They were supposed to be in a while and I didn't last more than 2 days! Shellsea: The answer to your question, in my opinion, it depends on how fast you would use up a batch. Aloe vera gel straight from the leaf from my understanding has a short shelf life and spoils fast. So if you weren't going to use the mixture up in a time sensitive manner, I would get a store bought one that has a little preservative added. 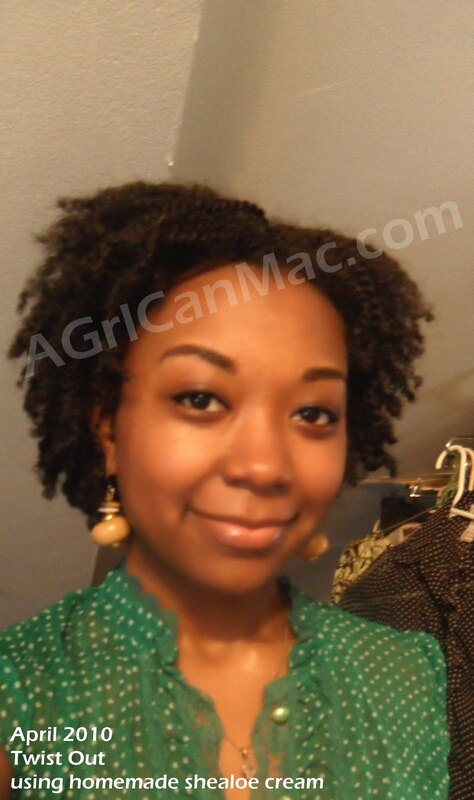 I use J/A/S/O/N 98% Aloe Vera Gel. 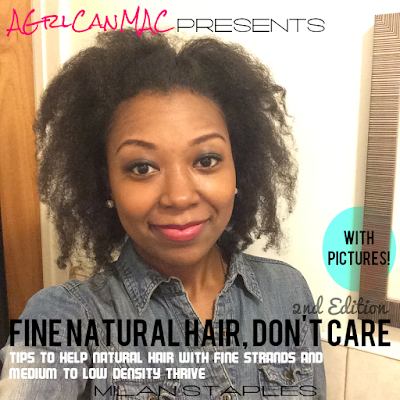 your hIR LOOKS LOVELY! gonna gives this a try. Thanks for the info. I'm going to try this out. I'm going to try this on my boy's hair. I have all the ingredients on hand too. Woot! I'm in love with shealoe! I use it on my hair and skin in the winter.